By the 1940s, John Cousins came to believe that he must take steps to try and bring Highland dancers back to the work that he had danced in Scotland. In 1945, Mr Cousins decided to open a Highland Dancing School and asked Maree Fairfield (Allen), a young successful competitive dancer, to be his assistant. This became a very difficult time for his pupils and the teachers of the time, while having respected him as a judge, could not understand his desire to change the styles. However he persevered (as did his pupils) and decided in the late forties an the early fifties along with Mrs Doris Stokes (a teacher and a Judge who resided in Newcastle, NSW) and Maree Fairfield to try and bring teachers and interested persons of the day together with hope of standardising Highland dancing in New South Wales. Mr Cousins was one of the recognised teachers who attended he first meeting called to bring about what was to become the Australian Board of Highland Dancing in 1960. His interest in Highland Dancing never waivered. His pupils will remember the tapping foot and his whistling of the dance tune throughout class. Mr Cousins died in July 1966 and was sadly missed by the Highland Dancing community. It was due to the tenacity and perseverance of a few persons in Australia who were desirous of securing a standardisation of Highland Dancing within Australia and thereto affiliation with the newly formed SOBHD. Vera Lacey was one such person. Besides studying law she was a performer for the well known theatre company within Australia for many long years, J.C.Williamson. 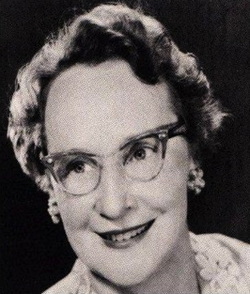 Mrs Lacey, as British Ballet Organisation’s Australasian representative, and keen upon Highland Dancing examinations being incorporated into an affiliated Highland branch, knew it would be extremely difficult to achieve a standardisation of Highland Dancing within Australia and for the many teachers to make the necessary changes to what they had been teaching for many years on somebody else’s say so. Hence she realised how necessary it was to accept an arbitrator such as the newly formed Scottish Official Board and set off on what was, at the time, a long and costly trip to Britain to attend SOBHD meetings, observe and take films of Highland Dancing in Scotland and seek as much technical information and advice as was possible to bring back to Australia. Miss Adeline Calder, as a British Ballet Organisation affiliate to the SOBHD was also of great assistance in those early days. Mrs Lacey later successfully sat the SBHD Judges examination. Vera Lacey was instrumental in the setting up of the initial meetings of what is now known the ABHDI and offered the British Ballet Organisation’s premises in Sydney free for meetings and later ABHD Judges’ examinations. She remained in her original position as the BBO Australasian representative and as an examiner for the BBO and National Dancing Association (NDA) until her passing in 1978.